Founded in 1989, Robertson Languages International Ltd. provides language training, cross-cultural training, translation, interpreting and localisation services to businesses and organisations in the UK and worldwide. We offer our award-winning English and foreign language courses anywhere in the UK and worldwide. Customised courses focused on individual needs, supported by the latest technology, deliver life-changing results. Cross-Cultural Training will help relocating assignees to avoid the cultural pitfalls which can cost both them and their employers thousands. Develop confidence and fluency with the help of experienced native trainers. Our Summer School programme provides pupils with a perfect trial run to life at university. As well as being able to walk them through the complex world of English grammar and punctuation, we can also plan trips and events for our pupils. With the help of Wolfestone and VoiceBox, we provide a range of additional language services to our clients. 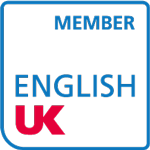 Their team of experienced linguists localise, translate and interpret to industry-leading and award-winning standards. DTI Award "Best Languages Provider, London & South East"
DTI Award "Best Languages Training Provider in UK"
We aim for an exceptional standard of quality and efficiency in providing language services to enhance our clients' global business success. We are certified to ISO 9001 for all our training and translation services. This guarantees our clients receive consistently high standards of work. We are active members of various professional bodies, including the Association of Translation Companies (ATC). Read more from our Languages in Business blog.